Lee Francis IV, CEO and publisher of Native Realities Press. 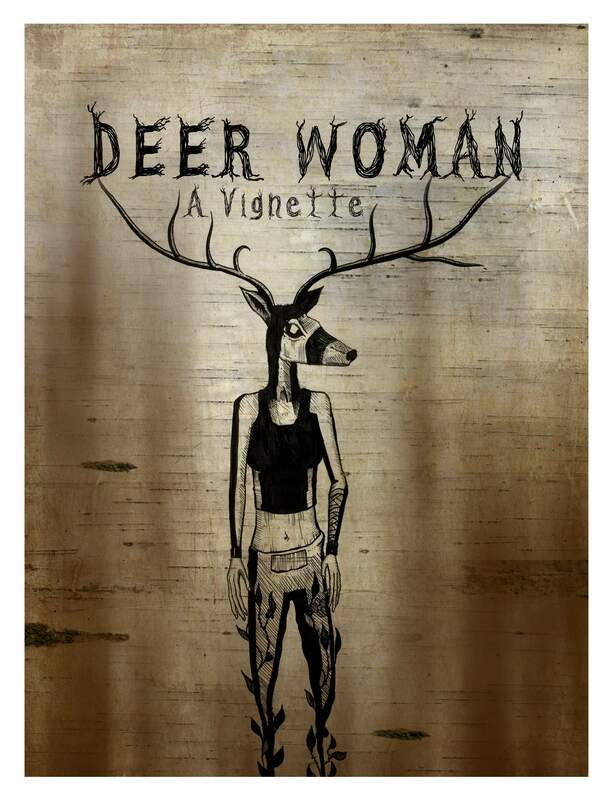 Cover of “Deer Woman,” a free digital story at https://www.nativerealities.com. Lee Francis is changing the world, one comic book at a time. The self-described Indiginerd saw the lack of Native characters in the pop culture landscape and decided to do something about it. 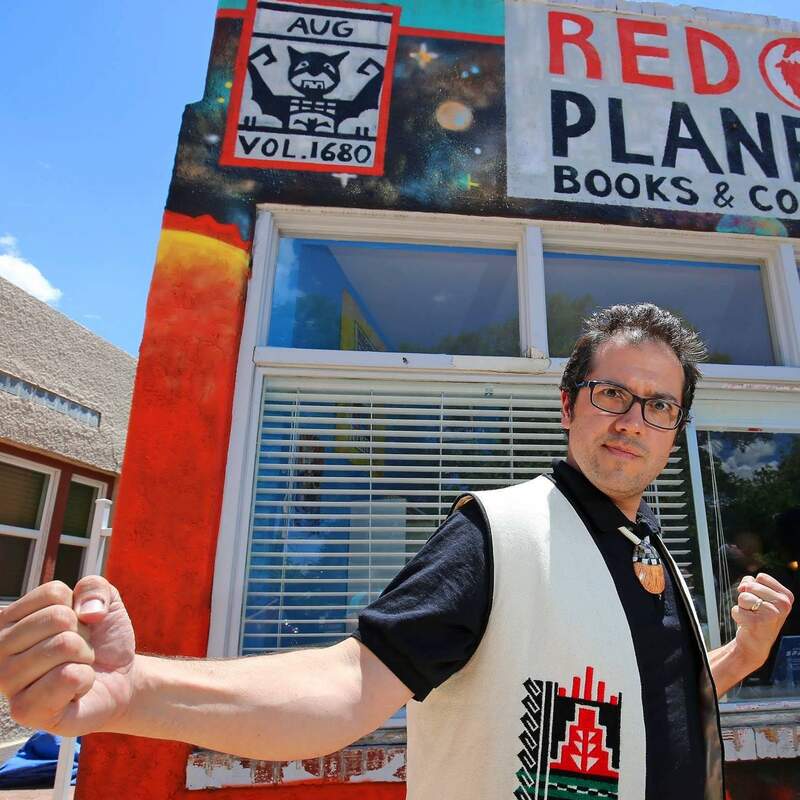 In 2015, Francis founded Native Realities Press, an Albuquerque-based publishing company focused on Indigenous creators and characters in comics, books, and toys. Along the way, he opened up Red Planet Books and Comics, and in 2016, he held the first-ever Indigenous Comic Con. DGO spoke to Francis about Native Realities Press and what’s coming up for this year’s Indigenous Comic Con. Why’d you decide to start your own press? I spent a number of years in education. What I found more and more, when I was looking for classroom resources, was that there was not a lot out there in terms of Native literature for kids. At a certain point, it just ran out, especially in the gap age. There’s picture books, there’s kid’s books, there’s adult literature, but there’s not much in that teenage gap age, especially in terms of comic books and graphic novels, and that is such a key component to developing literacy for a number of young adults. It isn’t just publishing comic books and graphic novels for the sake of it. We are putting stories out there that represent Native young people. Those are stories that haven’t been told before. We want an identity for Native folks and the ability to see themselves in a story. Also, so other folks can come in and see the really cool stories that are being presented. Do you see Native Realties as more of a YA or adult press? I would say we are a pop culture press. Part of our marketing approach is YA and juvenile, but our whole point is about pop culture. In terms of comic books and graphic novels, we have ones that are definitely geared older. We leave it up to parents and associates to decide what is best. Some of our comics are needed at younger ages. “Tribal Force” definitely features adult content. There are issues that deal with child molestation and abuse, but it is still framed in a comic book world that can be very powerful for young people that are facing that, depending on the age that people think they can handle to read about it. We try to make sure there is an informed audience, but we don’t decide for the audience. Jonathan Nelson, who creates “The Wool of Jonesy,” said, “When you are Native, you are political from the time you are born.” Do you agree? What does that mean in regard to Native Realities Press?I agree with that statement ... The caveat is if you accept your heritage. There’s a part where the political nature of who you are and where you come from is omnipresent depending on how deep you want to be a part of that and recognize the political nature of that. There’s a political aspect to (the press), but not overtly. We’re not handing out pamphlets or manuscripts in the street, but we are definitely trying to change hearts and minds. That’s absolutely a political act. We’re trying to say with a comic like “The Wool of Jonesy,” “Hey, here’s a really cool little character that grows up on the rez. Here’s what the rez looks like.” You know? And it’s filled with lyricism and boredom, which is, in many ways, beautiful. Ultimately, the peel-back is that we are trying to create really great stories. Whether they are political or not, it’s going to be the intent of the people who pick them up. I think we are being political and jumping into the realm of world-changing, but if people grab it and they like the story for being a really cool story, that’s great, too. You’re a young press. What’s the most gratifying, exciting thing to have happened so far?Last year, we put up the first Indigenous Comic Con. We were able to get a whole bunch of authors and Native folks in one space and do some really cool stuff. People showed off their work from comic books and pop culture to art and literature and science fiction and games ... We gotta keep moving because there are people who want this. That was the most rewarding, compelling, and propelling experience. Of course, we will have special guests, illustrators, movie guests, and television guests that will be coming in. We’ll be showing movies, playing games, all of it. Can people get involved? If they want to give us a call, just hit up the website. If folks want to volunteer for it, they can sign up online. If you’re in Albuquerque, you can come on down to the shop and say hi at Red Planet Books and Comics. 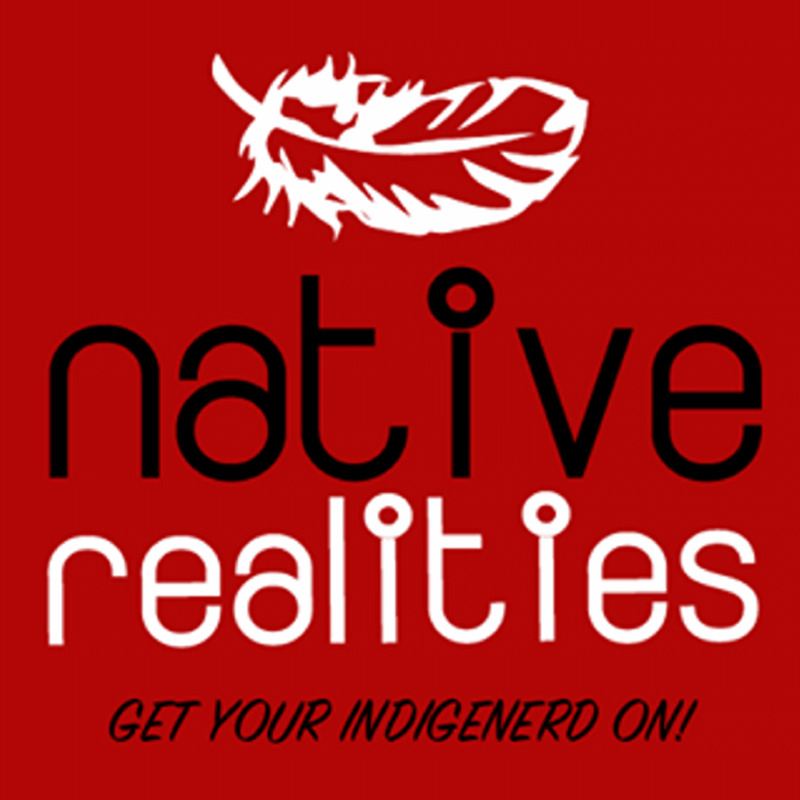 Is Native Realities Press open to submissions?We aren’t taking any more stories at this point. We have a lot in the can. We need some illustrators and artists to draw them. That’s ongoing. Anyone can always submit an art portfolio online without an agent. What’s coming up in the publishing pipeline?You can download a “Deer Woman” story online for free and we are producing a full anthology of “Deer Woman” stories that will be a 100-and-some page book of Native illustrators, all Native women ... from the editors to the illustrators to writers, talking about their experiences dealing with violence against Native women in a way that is healing and compelling and positive. “The Hero Twins” by Dale Ray Deforest. It’s about Navajo hero twins in a modern context battling monsters. “Sixkiller” is one of the comic books that I write. It’s the story of a young Native woman seeking revenge for the murder of her sister. We say it’s “Kill Bill” meets “Alice in Wonderland” set in Cherokee country. After that, “Jonesy” 2 and “Tribal Force” 2 are on deck. What’s a dream project? You’ve already put on a con and that’s huge. What’s the next level after that? [Laughs] I think a full-length animated feature. That’s our next big step. To take some of these characters and put them out into the digital world. Getting a wider audience. That would be something we would love to see with at Sundance or on Netflix or anywhere. We want to make a really cool, Native, full-length, animated movie.